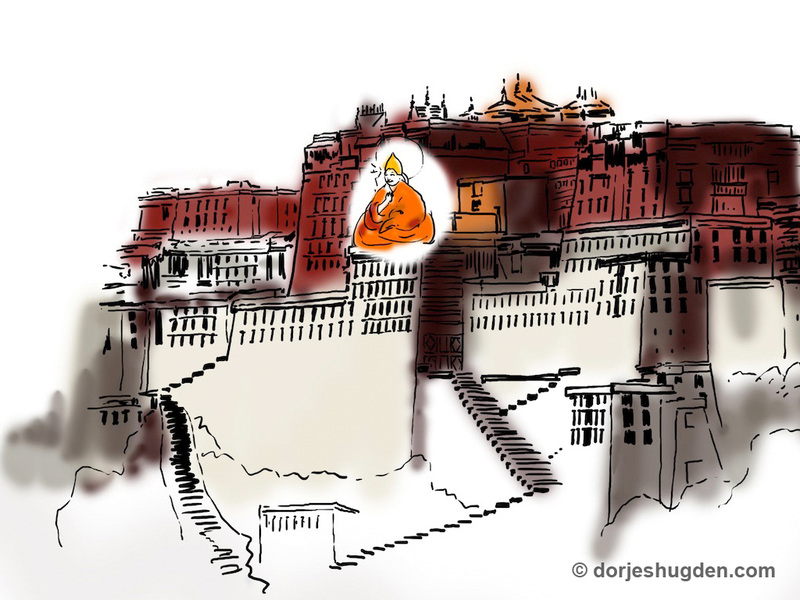 Also known as Dharmapalas, are special beings that emanate to protect the authentic Dharma. They do this by clearing obstacles and providing conducive conditions for Buddhist traditions to propagate and grow. Some Dharmapalas are Buddhas and bodhisattvas appearing in worldly form, whilst others are spirits who have been subdued by compassionate lamas, and bound by vows to assist practitioners. As emanations of Manjushri, protectors like Kalarupa and Dorje Shugden belong to the first class of Dharmapalas who are enlightened beings appearing in the guise of worldly protectors. Thus to invoke their blessings, is to invoke the assistance and blessings of an enlightened being. Dedicated, talented artists and producers have invested many days and nights to bring this creation to life. 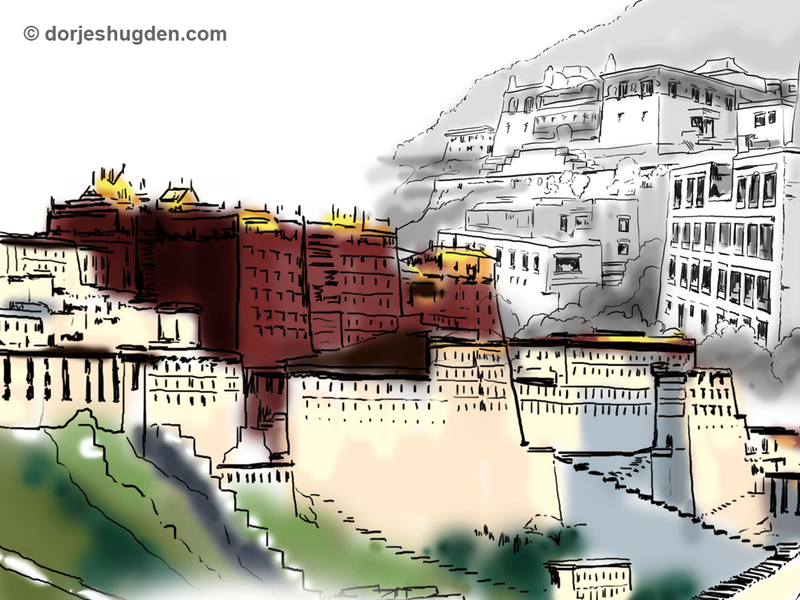 Exclusive wallpapers from the Illustrated Story of Dorje Shugden available for free download here! Choose from six stunning wallpaper designs for your desktop or laptop now. All wallpapers are 1024px x 768px. Buton Rinchen Drub, Duldzin Dragpa Gyaltsen, Panchen Sonam Dragpa, and many others. Their life stories are explained in the book Heart Jewel. 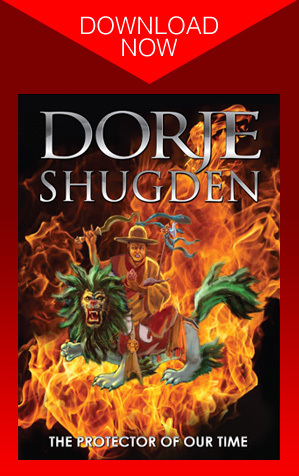 Since his lineage is enlightened, Dorje Shugden is a Buddha too. You would not be silenced, and showed signs of heroism; praise to you! Dorje Shugden's form teaches the complete stages of the path of Sutra and Tantra, and such qualities are not possessed by the forms of worldly beings. He appears as a fully ordained monk to show that the practice of pure moral discipline is essential for those who wish to attain enlightenment. In his left hand he holds a heart, which symbolize great compassion and spontaneous great bliss - the essence of all the stages of the vast path of Sutra and Tantra. His round yellow hat represents the view of Nagarjuna, and the wisdom sword in his right hand (like the one held by Manjushri and Je Tsongkhapa) teaches us to sever ignorance, the root of samsara, with the sharp blade of Nagarjuna's view. 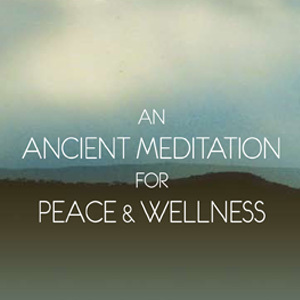 This is the essence of all the stages of the profound path of Sutra and Tantra. He rides a snow lion, symbolizing the four fearlessnesses of a Buddha. Explanation of his remaining features can be found in Heart Jewel, as can the specific enlightened function of each of the thirty-two Deities of his mandala, which are explained in a prayer written by Sachen Kunlo, one of the great Sakya Lamas. Dorje Shugden is the incarnation of the five Buddha families and appears in five forms that symbolize the five families. 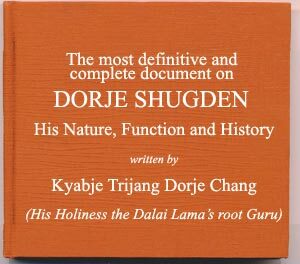 These forms are explained in Heart Jewel and are called 'the five lineages of Dorje Shugden'. 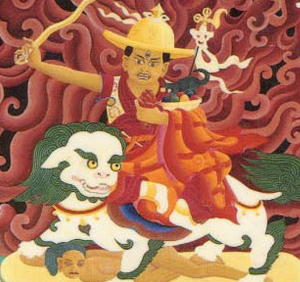 The principal Deity, Duldzin Dorje Shugden rides a snow lion. Vairochana Shugden is white and rides an elephant. Ratna Shugden is yellow and rides a palomino horse. 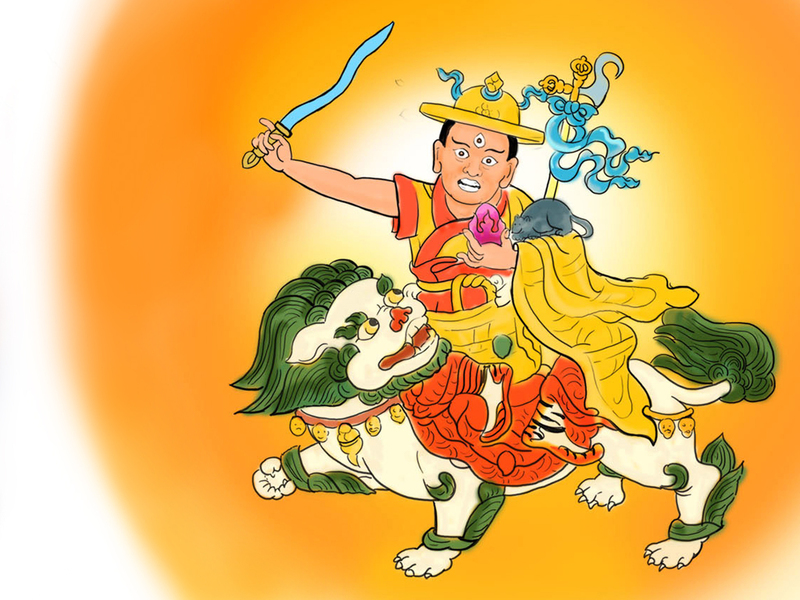 Pema Shugden is red and rides a turquoise dragon. Karma Shugden is dark red and rides a wrathful Garuda bird. 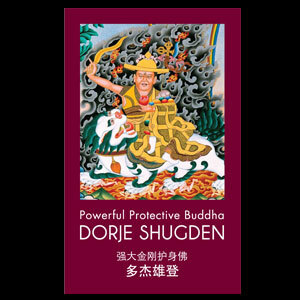 These forms also symbolize Dorje Shugden's attainment of pacifying, increasing, controlling and wrathful actions and his main form as Duldzin symbolizes the supreme attainment - enlightenment itself. Dorje Shugden is the same nature as Je Tsongkhapa - they are the same person performing different functions. Many Dorje Shugden sadhanas state that Dorje Shugden is the embodiment of the "Guru, Yidam, and Protector", where "Guru" refers specifically to Lama Tsongkhapa. When we practice the sadhana of Dorje Shugden, we are indirectly practising the Guru yoga of Je Tsongkhapa. Gelugpa practitioners who have a sincere trust in Dorje Shugden will have no difficulty in generating unshakeable faith in Je Tsongkhapa and his teachings. Both Je Tsongkhapa ('peaceful Manjushri') and Dorje Shugden ('wrathful Manjushri') are manifestations of the Wisdom Buddha Manjushri, as are the Dharma Protectors four-faced Mahakala and Kalarupa. Therefore, they are all the same enlightened nature. The Deities of Dorje Shugden's mandala are the same nature as the Deities of the body mandala of Lama Losang Tubwang Dorjechang, who is in essence Je Tsongkhapa. Lama Losang Tubwang Dorjechang is the principal object of refuge in the blessed Gelug practice of Offering to the Spiritual Guide (Tib: Lama Ch?pa), which comes from Manjushri's Emanation Scripture. In this practice we visualize within his body the thirty-two Deities of Guhyasamaja. These thirty-two Deities manifest as the thirty-two Deities of Dorje Shugden's mandala, indicating that Dorje Shugden is the same nature as Je Tsongkhapa and Guhyasamaja and thus a fully enlightened being. Of the Deities of the five lineages of Dorje Shugden explained above, the principal Deity is Duldzin Dorje Shugden, who is the manifestation of the aggregate of consciousness of Lama Losang Tubwang Dorjechang. The remaining four lineages are manifestations of Lama Losang Tubwang Dorjechang's remaining four aggregates. 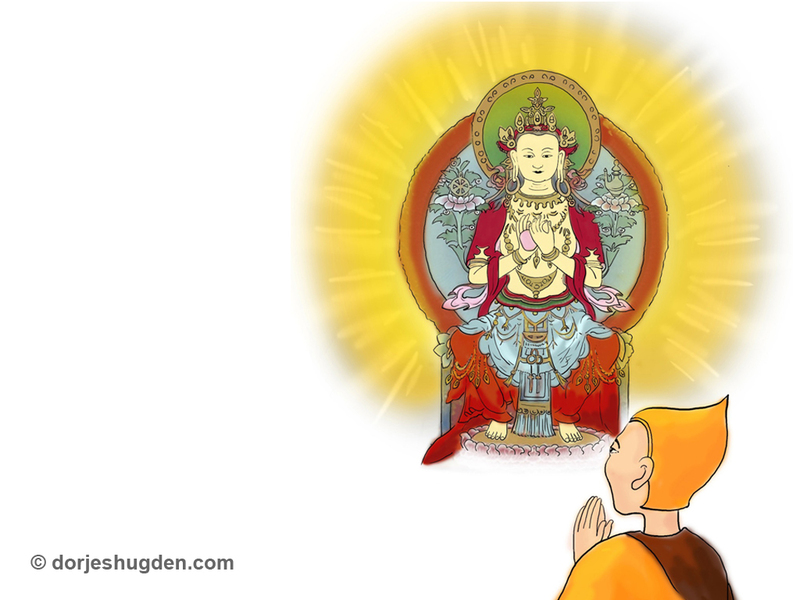 Je Tsongkhapa himself therefore manifests as an enlightened Protector and retinue to protect his Ganden tradition. Dorje Shugden arose as the principal Protector of Je Tsongkhapa's doctrine over 300 years ago, at the time of the Fifth Dalai Lama, who composed the first verse of praise to him. However, the current system of empowerment and worship is more recent and comes from a great Lama called Tagpo Kelsang Khedrub Rinpoche. 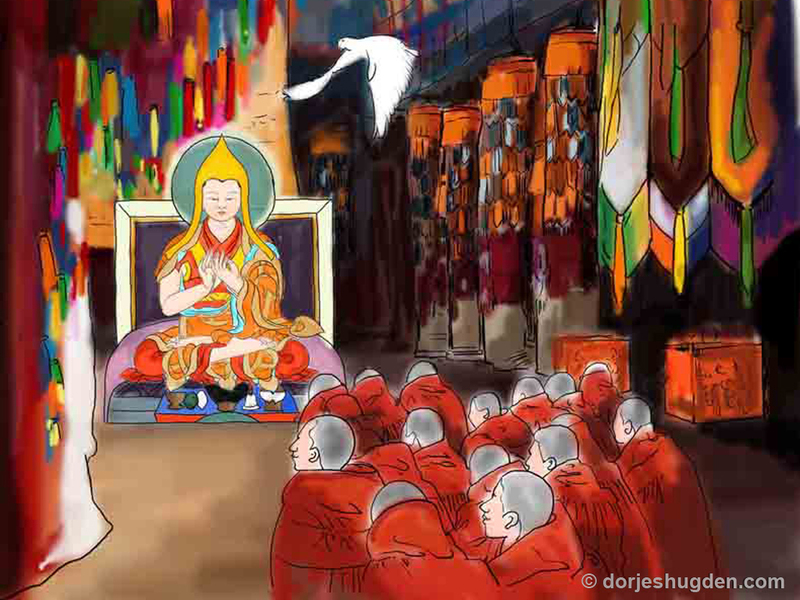 Lama Tagpo went to Tushita Pure Land where he met Je Tsongkhapa and requested a teaching. 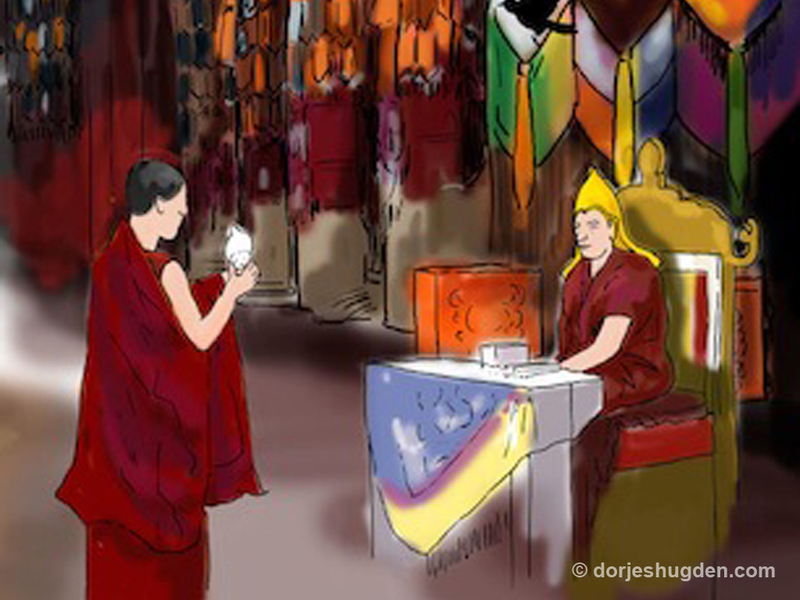 In response, Je Tsongkhapa lifted up the cloth covering the front of the golden throne on which he was sitting, and the five lineages of Dorje Shugden emerged. 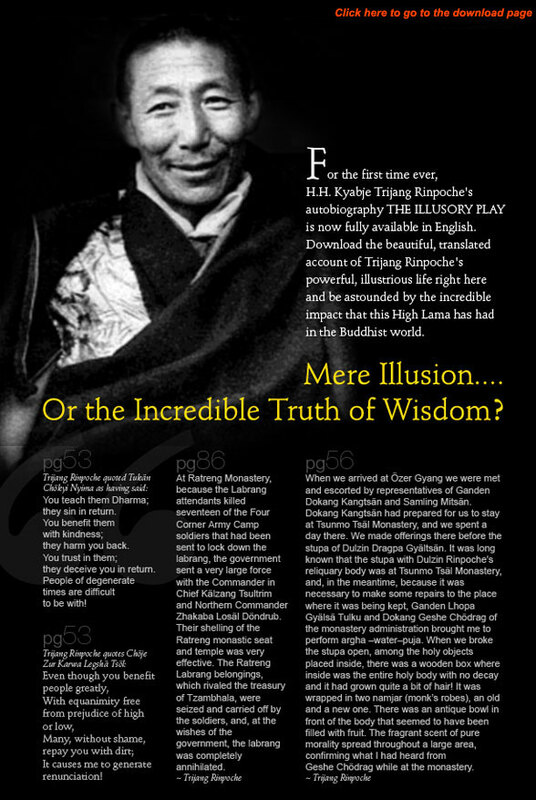 Dorje Shugden then transmitted the practice to Lama Tagpo, just as Maitreya had transmitted five major philosophical treatises to Asanga in Tushita Pure Land in earlier times. Lama Tagpo later transmitted these instructions to Pabongkhapa Dechen Nyingpo, who passed them on to Trijang Dorjechang Losang Yeshe -- spiritual father and son. From Trijang Rinpoche, they passed to our present day Gelugpa Teachers. Well-regarded Gelugpa practitioners of Dorje Shugden include the 5th Dalai Lama, Kelsang Thubten Jigme Gyatso 1743-1811 (a tutor to the 9th Dalai Lama), Losang Thubten Wangchuk Jigme Gyatso 1775 - 1813 (head of the Gelugpa in Mongolia), Ngulchu Dharmabadra, the Indian master Shakya Shri Bhadra, the 11th Dalai Lama 1838 - 1856 (who installed Dorje Shugden as the Protector of the Gelugpa tradition), Gyara Tulku Rinpoche, Tomo Geshe Rinpoche (regarded by the 13th Dalai Lama as an emanation of Je Tsongkhapa), Serkong Rinpoche (regarded by the 13th Dalai Lama as Vajradhara),Tagpo Kelsang Khedrub Rinpoche, Pabongkha Rinpoche, Trijang Rinpoche, Ling Rinpoche, Khangsar Rinpoche, Tathag Rinpoche (in charge of the Tibetan Government after the death of the 13th Dalai Lama), Zong Rinpoche, Lobsang Tamdin, Ribur Rinpoche, Khen Rinpoche Losang Tharchin, Lati Rinpoche, Geshe Rabten, Geshe Ngawang Dhargyey, Khensur Rinpoche, Khechog Rinpoche, Dagyab Rinpoche, Gelek Rinpoche, Lama Yeshe, Geshe Kelsang Gyatso, Yongyal Rinpoche, the 14th Dalai Lama (until he was in his forties), Dagom Rinpoche, Gonsar Rinpoche, Gangchen Rinpoche and others. These Lamas themselves have all been recognized as realized, holy beings, with many thousands of Tantric disciples who revered them as living Buddhas. 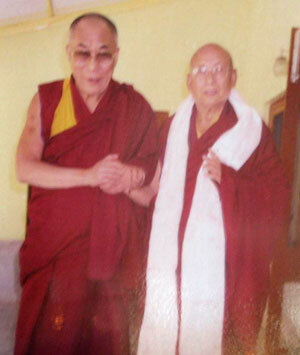 The later Lamas were all direct or indirect disciples of the great Pabongkha Rinpoche and Trijang Rinpoche. With deep faith I prostrate to you, Vajradhara Dorje Shugden. Although you have already attained the Buddha ground And engage in the twenty-seven deeds of a Buddha, You appear in various forms to help the Buddhadharma and sentient beings. These twenty-seven deeds, explained in the Perfection of Wisdom Sutras, range from showing living beings the way to enter the spiritual path to liberation up to guiding them to the final attainment of Buddhahood. 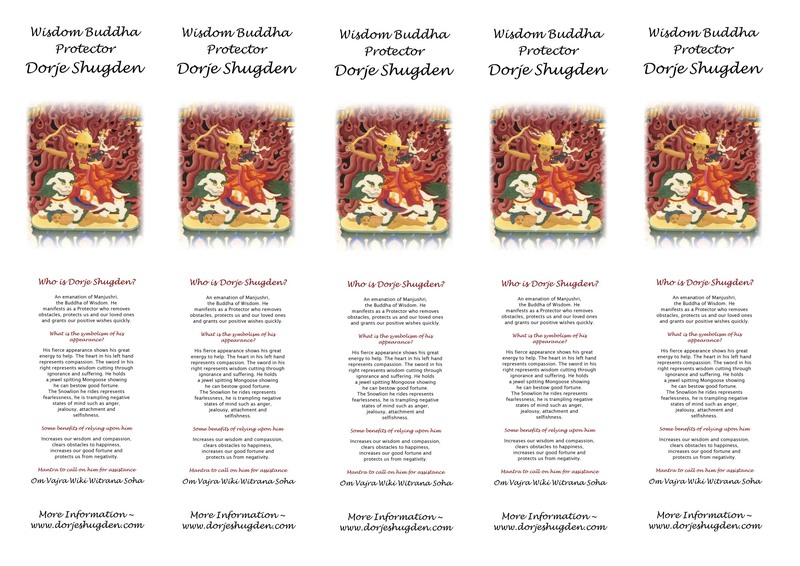 Since Dorje Shugden performs all these twenty-seven deeds, it is clear that he is a Buddha. Even today, there are many Buddhist practitioners with their own stories to tell of how they have been protected by this Dharma Protector. 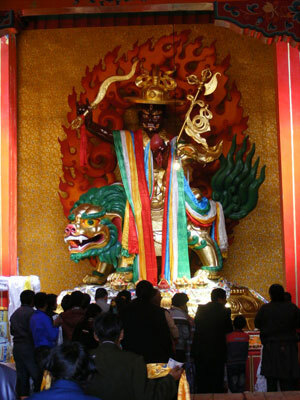 Dorje Shugden's name means 'Vajra Possessing Strength', indicating that he has great power and strength to spread Buddhadharma and to help people in these degenerate times. The difference between a Dharma Protector and a worldly protector is that the former is an enlightened being whereas the latter is not. Worldly protectors have no ability to flourish the Buddhadharma nor to protect Dharma realizations in a practitioner's mind. 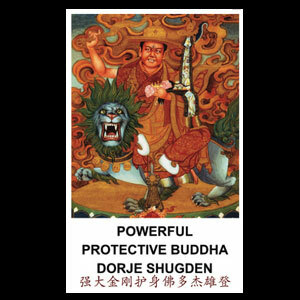 As a Dharma Protector, Dorje Shugden's principal function is to protect our Dharma practice, not to help our mundane affairs. Those who rely upon Dorje Shugden know that their spiritual realizations come from his blessings. 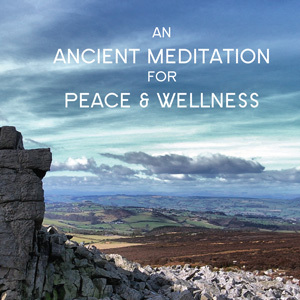 However, as with a relationship with any holy being, this is something that can only be experienced by someone who relies on him with strong faith over a long period of time, steadily building their connection with him.